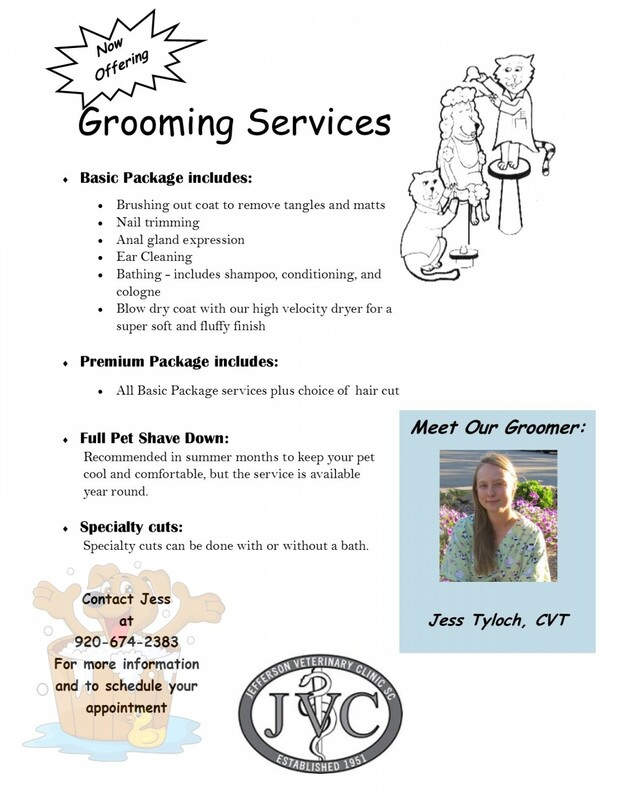 Jefferson Veterinary Clinic, S.C. welcomes you! Jefferson Veterinary Clinic, S.C. in Jefferson, WI is a mixed animal practice serving the greater Jefferson County area. It is our commitment to provide quality, compassionate veterinary care throughout the life of your companion animal and farm animals. Our services and facility are designed to assist in routine preventive care, detection and treatment of disease, and medical and surgical care.